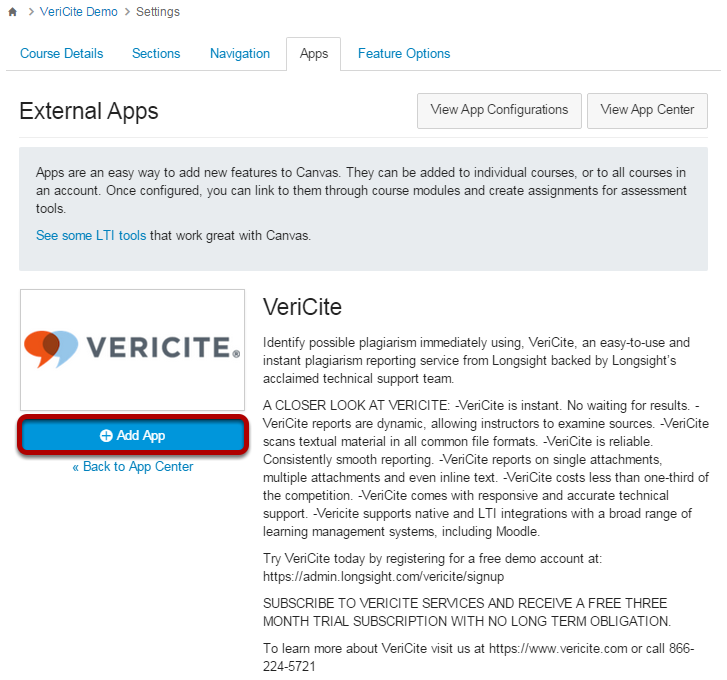 VeriCite DocumentationUser GuidesCanvas User Guide LTI Integration - Instructor ArticlesHow do I enable VeriCite LTI in my Canvas course? You only need to enable VeriCite once per course. 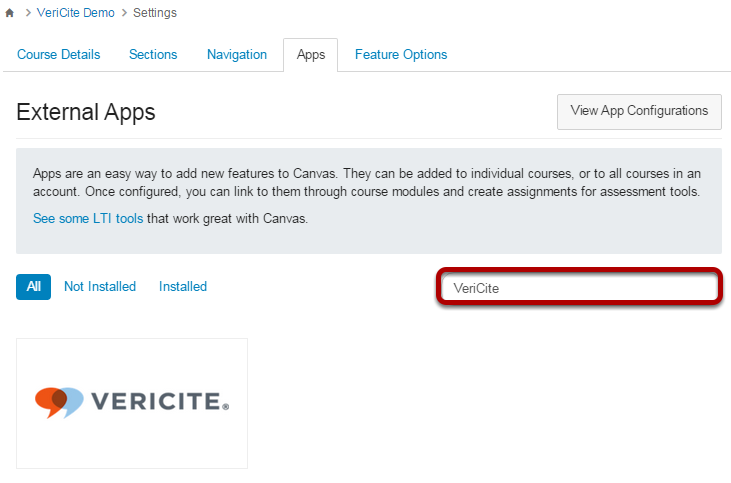 Once you have enabled VeriCite in a course, you may simply select it as the submission type when you add new assignments. 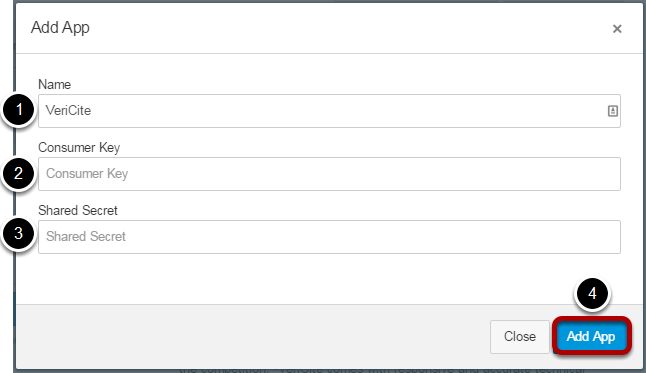 Go to Settings in your Canvas course. Zoom: Go to Settings in your Canvas course. Select VeriCite and click Add App. Enter the information provided by VeriCite for your integration and click Submit. You will need to enter the following information. Name: This is the name of the tool as it appears in your course. VeriCite will be prefilled for you in this field. Consumer Key: This key is specific to your institution and will be provided to you by VeriCite. Shared Secret: This shared secret is specific to your institution and will be provided to you by VeriCite. Click Add App after entering the above items. 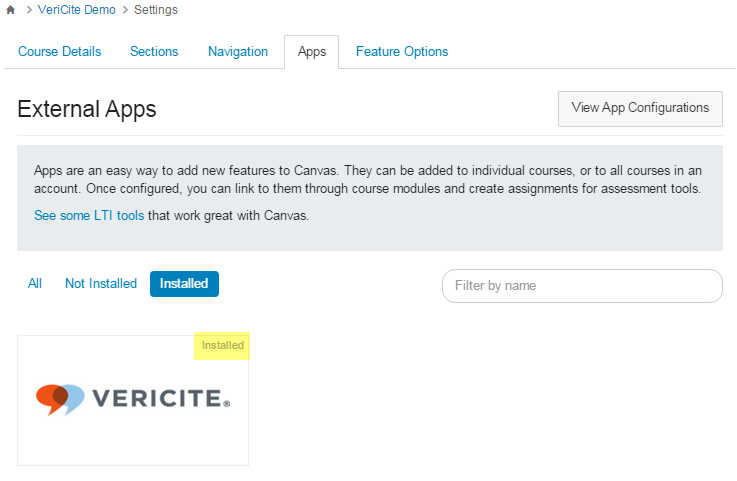 VeriCite has now been added to your course and will appear in the list of Installed External Apps.